The kitchen is an overwhelming place. 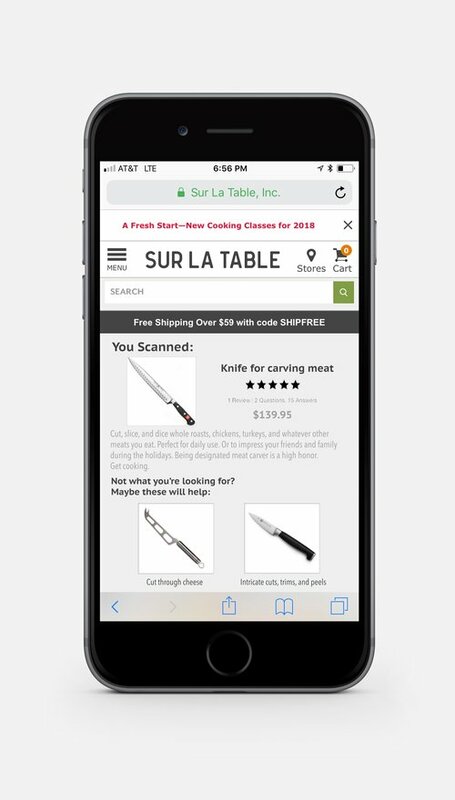 Sur La Table ends the intimidation that comes with using complicated cookware and gets back to the roots of simple, straightforward cooking. 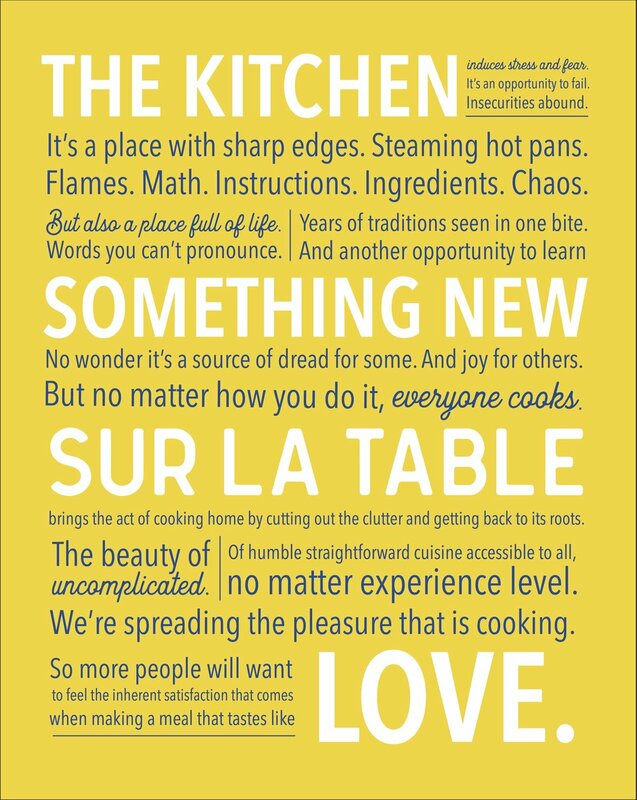 Sur la Table’s current logo is a fancy, outdated script. Our logo refresh makes the brand feel down-to-earth and approachable. 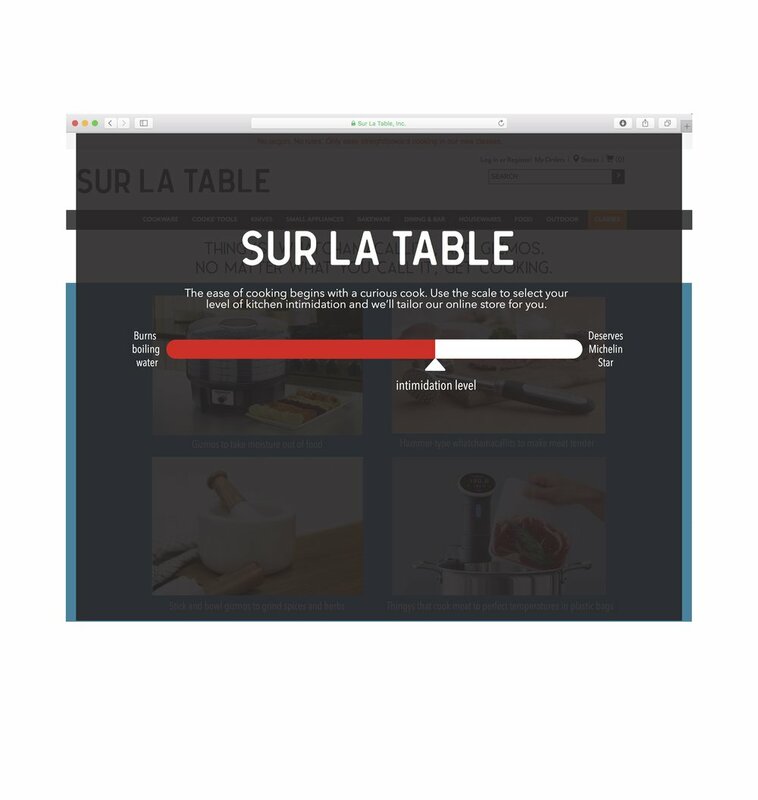 A website scale takes over the Sur La Table homepage and asks the user to rate their intimidation level. 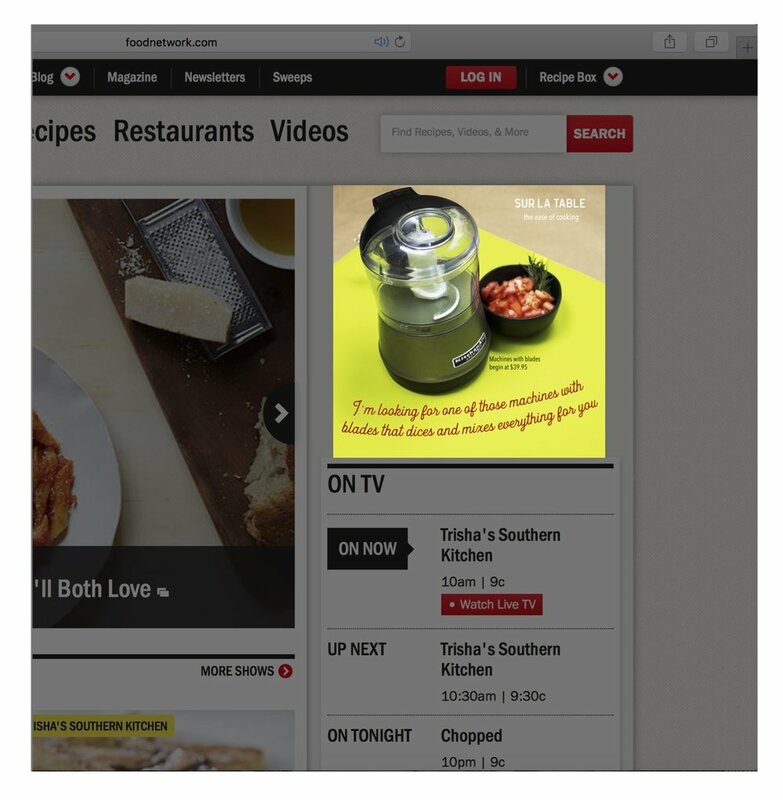 The language of the website will change based on their rating. 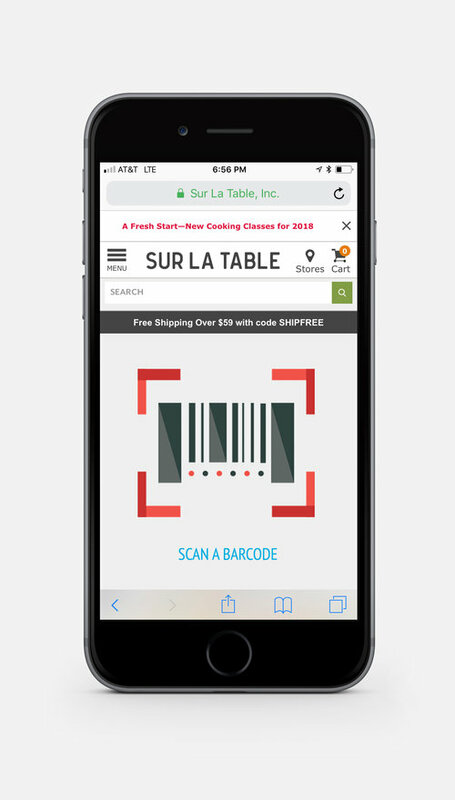 An interactive in-store component will be added to Sur La Table's mobile site. When the user chooses “help me find that thing” a barcode scanner will pop up and the user can scan the code to get more details -- on their level.